If you’re a regular around here, you’ll know we review board games, we often review a pretty wide variety of games from quick to play party games to epic fantasy adventures that take hours to complete. I would say that I tend to prefer games with miniatures and co-operative games. That’s not to say that I don’t enjoy competitive games too, I just find working together to be a bit more fun. I usually keep my eye on places like Kickstarter for new and interesting projects coming up in the world of tabletop gaming. Whilst I don’t tend to back too many games – it can quickly become pretty expensive, there is a trend to the games I have backed and have been very close to backing. 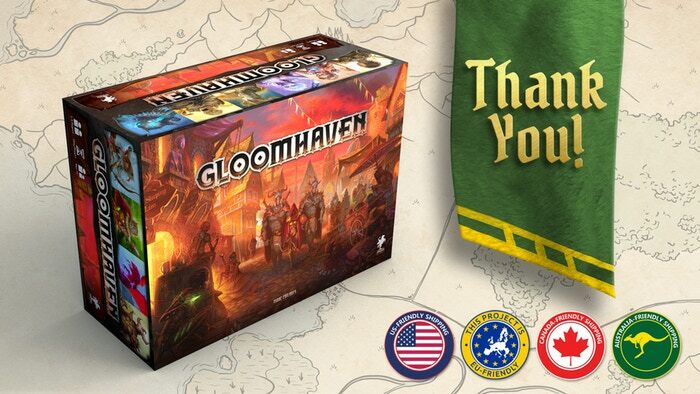 Last year was the first time I backed a game on Kickstarter and that game was Gloomhaven, an epic co-operative dungeon crawler spanning over a hundred scenarios with a branching story lines and lots of unlockable goodies. Then I backed Zombiecide Green Horde, another co-operative game that focuses a little more on just smashing zombies. Earlier this year I then backed two games that were actually fairly similar in a lot of ways, Lifeform and Nemesis. 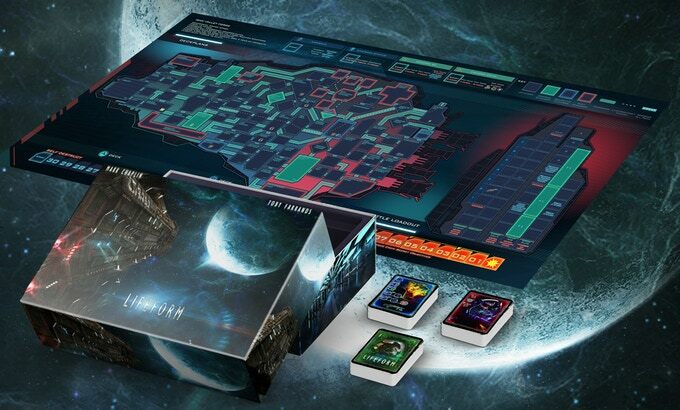 Both are games about avoiding/fighting aliens, one features incredible looking minis and the other is more token and cardboard. I saw them best described as Lifeform being like the movie Alien, and Nemesis being more like the sequel Aliens. Seeing as Alien is probably one of my favourite franchises I was sold. Again these are co-operative or semi co-op. It’s pretty clear I have a type when it comes to games. But there has always been one area of tabletop gaming that has intrigued me but I’ve never found myself enjoying it and that is solo play. 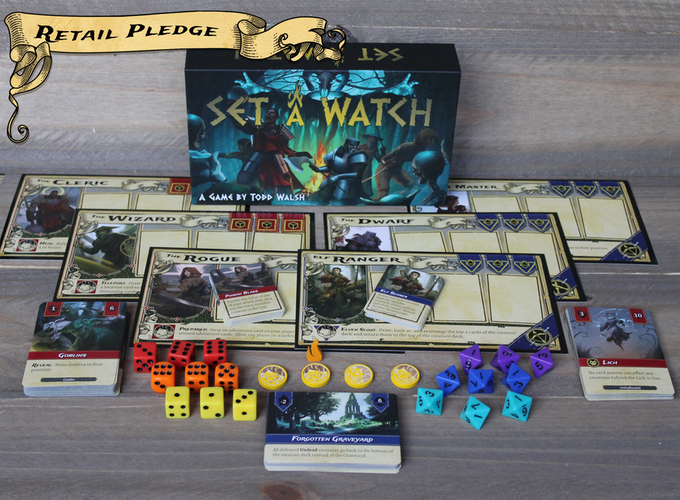 A game recently caught my eye on Kickstarter called Set a Watch, in the end I didn’t end up backing it, but I was initially thinking it looked like a great game that could be played solo. If there are late pledges for it I still might be tempted. Many games have solo variants to them or can be played by one player – Gloomhaven, Zombiecide, in fact for almost any co-op game you could quite easily assume multiple roles –although It might not fit perfectly. I’ve tried playing a few games solo before and it just doesn’t click with me for some reason and I think it actually comes back to a few things. Firstly, my taste in video games must be an influence, I like to play a lot of multiplayer games whether it’s competitive or co-operative there is just something about player with other people that makes gaming more enjoyable for me. The other is more about discipline. If someone gave you a cheat book with loads of cheat codes to for a video game, chances are you’d try them out. I know I certainly would. In fact I remember playing GTA 3 with quite a few of the cheats for weapons and getting access to basically all of them and loads of ammo. Sure it made things easier, but it also made things a hell of a lot more fun. My point is, is the temptation is there to just cheat the system and that’s my problem with playing a board games solo. The temptation to just re-take a turn, or roll back something stupid I might have done is just too great. There is no one there to tell me I can’t do that, and therefore I probably would end up doing it. I also love that board games are a social thing, getting some friends together and playing for a few hours is great fun and we always have a lot of laughs no matter what we’re playing. Obviously you completely lose that playing on your own. To be honest, I’ve not played many games as a solo player so I can’t say for certain that I don’t like it, but of the ones I have tried it’s just not quite right. The only thing I think that could sell me on playing solo would be a game with a strong story element to it. A narrative that drives me forward, and something that would change from game to game, and ideally I don’t want to spend ages setting a game up to play myself. That’s why I was drawn to Set a Watch, it looked like it would suit my requirements for playing solo and as I’m writing this I’m having regret for not backing it especially at the price it was. I love playing board games and it can be tough getting a group of people to play regularly so playing solo would kind of be ideal and I’m willing to try it more, I’m just not sure where to start. Do you play board games solo? If anyone has any good recommendations where to start, then let me know down below!